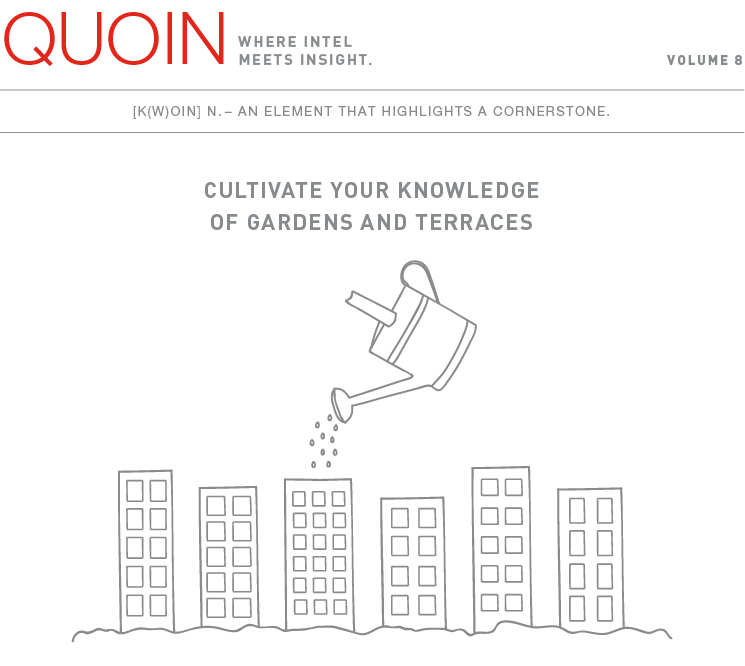 This month’s data dig reveals some interesting facts about private gardens and terraces. Learn the ins and outs of outdoor space, and discover the properties that are the envy of green. 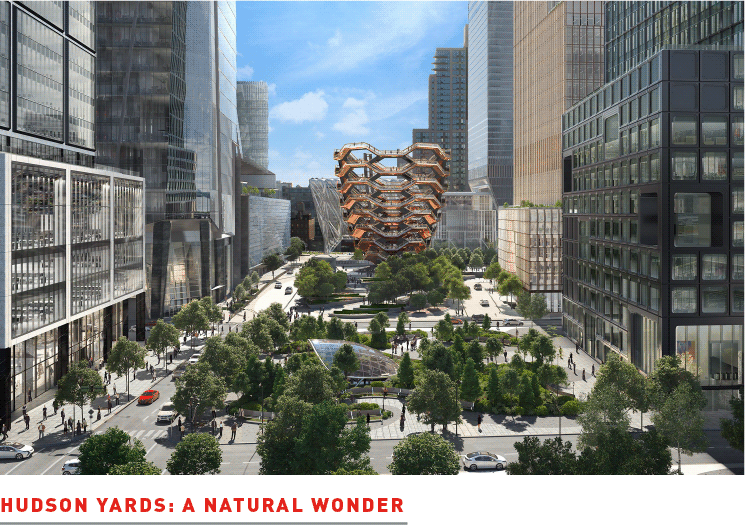 The West Side development is alive with over 14 acres of public space. The five-acre public square was designed by Nelson Byrd Woltz and features over 28,000 plants and 200 mature trees. 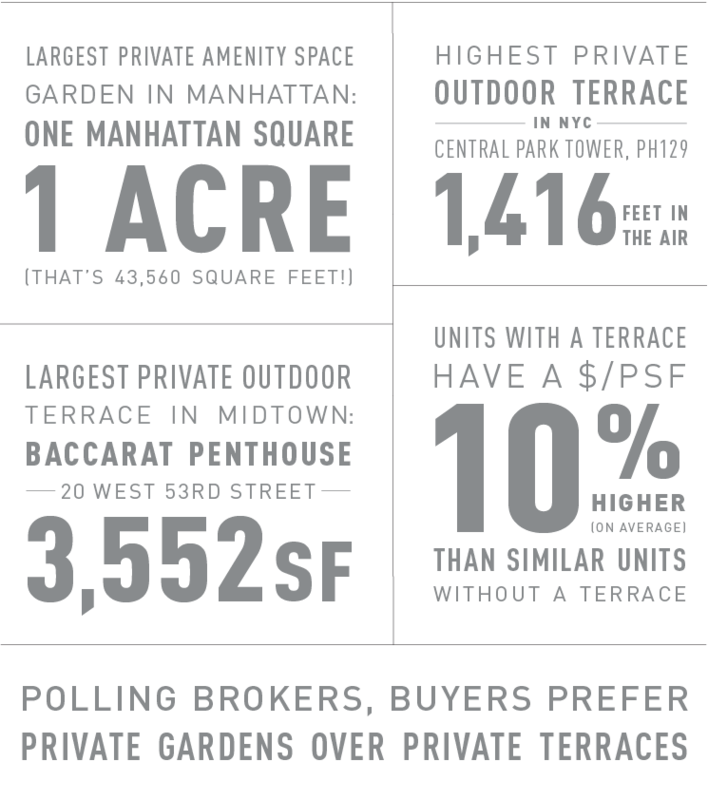 There are 1,826 condo units available in Manhattan that offer some outdoor amenity – almost 45% of all condo listings. 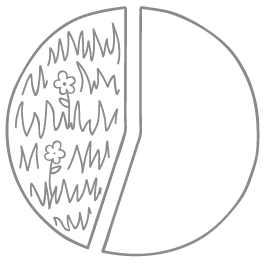 While somewhat scarce, outdoor space sells for approximately 30% of the value of indoor square footage. 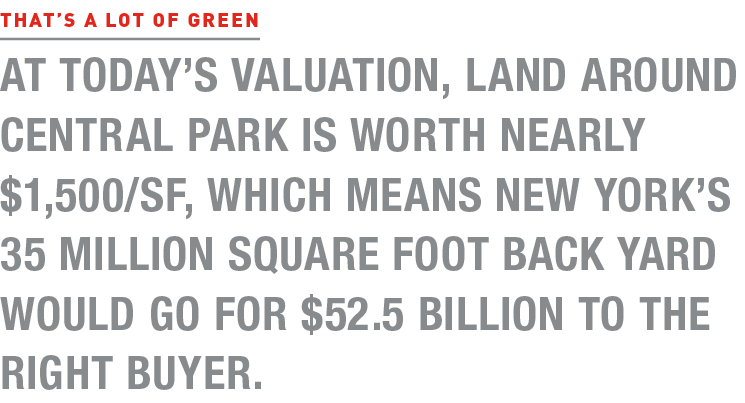 For example, if a unit is valued at $3,000/SF, its exterior space is valued at $1,000/SF. Balconies are smaller – the average size in NYC is 55 square feet – and they extend out from the building. Terraces, on the other hand, average 575 square feet and are within the building’s outer walls. By comparison, the average private household in America has a yard of 6,200 square feet – over 10x the size of an average Manhattan terrace. 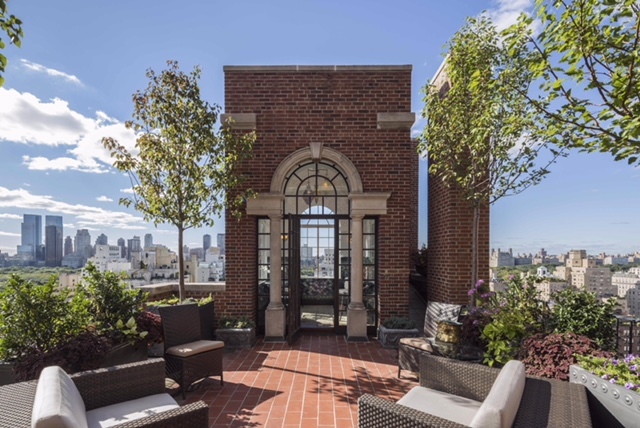 Those capable enough to reach the rarified air of a Manhattan penthouse should consider a view crafted by famed architect Rosario Candela. His mastery of setback living spaces with wrap around terraces allow for a life surrounded by vistas for the truly visionary. Sign up to make sure these insights come to your inbox.